Our delicious shakes go way beyond the minimum daily requirements giving you more of the essential vitamins, minerals and herbs your body needs. Core nutrition is at the centre of everything we do. 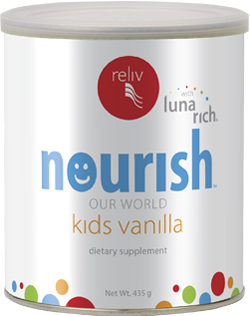 Provides essential nutrients in a vanilla flavour for children ages 2–12. Supports energy, mental performance and healthy kids. See the nutrition panel and product flyer. I need nutrition that's personalised for me. Make your shake work for you. Customise your daily Core Nutrition shake with Targeted Solutions that meet your health and fitness goals. Our Targeted Solutions are designed to work with any of our Core Nutrition shakes. Innergize! increases energy, improves oxygen absorption and strengthens the immune system. See the nutrition panel and product flyer. With 12 grams of high quality non-GMO soy protein it is full of all the essential vitamins, minerals and antioxidants your body requires to be in shape. See the nutrition panel and product flyer. 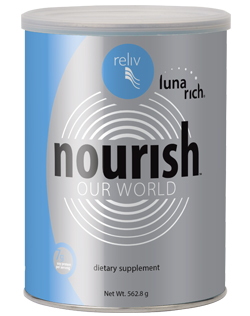 In addition to its own health benefits — from cholesterol reduction to overall cellular health — LunaRich X powers up the benefits you receive from other Reliv products. See the nutrition panel and product flyer. Shape up with the Reshape Pack. 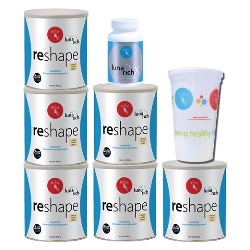 Pay for 5 cans of ReShape and 1 bottle of LunaRich X Capsules and receive your sixth can of Reshape and a Shaker cup FREE!